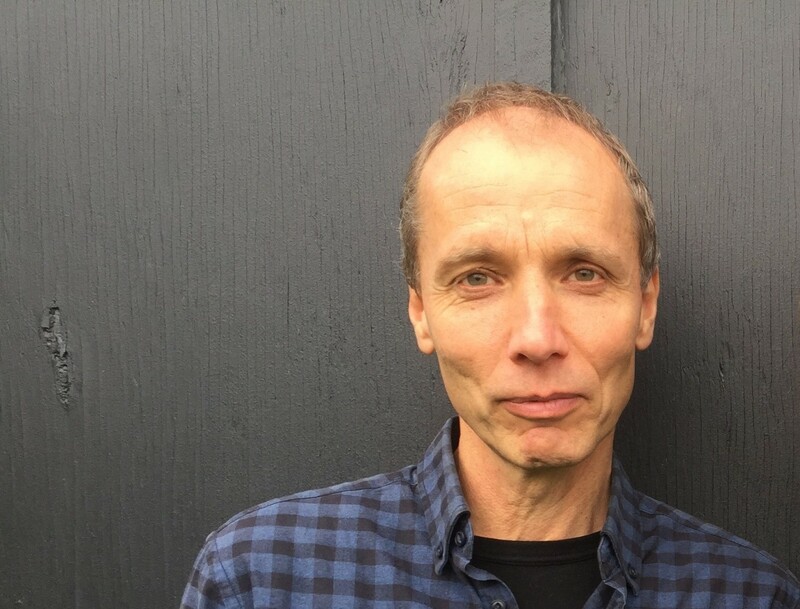 Investigative journalist Nicky Hager is no stranger to personal attacks for his work, and has written about some of the tactics used by PR professionals in his book Dirty Politics. In April he told the Public Communication or Science and Technology conference about where these tactics can cross paths with science – he spoke further to journalism student Zahra Shahtahmasebi. Tell me about some of the dirty tactics PR people use and some New Zealand-related examples. What I’ve studied is the techniques of people whose job it is to silence scientists who say things they don’t like or to undermine their science or to set up alternative voices to give a different version of science that more suits their clients. And this is a really big problem if you want to solve problems in the world because you can not only get the wrong decisions but you can just get delayed decisions. Dirty Politics, Potton & Burton 2014. Sometimes it is legitimate; different points of view being argued, and there’s place for that in the world, that’s how science proceeds. But the kind I’m talking about is where there are people who are the political strategists, PR people, corporate lobbyists and they’re there to achieve results for their clients irrespective of the science. What do they do? Often they, without showing their hands necessarily, put pressure on scientists who are doing science they don’t like. A recent example of this that I’ve worked on is scientists working in the area of public health. In the book Dirty Politics that I wrote, there was this organised campaign with a PR man in Auckland named Carrick Graham whose job it was – on behalf of, it appears, the tobacco industry and maybe the alcohol industry and definitely the sugary food industry – to write public attacks on professors of public health to essentially smear them in public, cause them troubles, make them wonder if they want to stick their heads up so much [Ed’s note: see Graham’s response below]. And equally to make other people who watched them, others of their colleagues who see them being regularly attacked thinking ‘maybe I won’t work on tobacco after all, I won’t work on sugary foods because it just seems so controversial’. Another aspect that I’ve come across and written about is where there are organised efforts to buy influence over scientists and medical people and so on – people who are the experts that society relies on for different issues. Where organisations like a lobby group or a PR company deliberately decides to give research funding to particular scientists or academics who they think are closest to their point of view. I’ve seen it in the environmental field where companies doing activities which harm the environment look for environmental scientists who need funding and can be brought around and end up arguing against what everyone else would say is best for the environment. The sad thing about it is while not everyone does this of course, there’s an industry of it and people who want to stop the outspoken public interest voices such as scientists, doctors and all the rest, they can take these professional services, and use them to achieve those incredibly antisocial ends. Isn’t it just so sad though that we’ve built up this environment that we actually have people out there who think ‘okay we need to shut these people down, we need to silence them’, how do you think that environment was built? The way every society works is a balance of power and some groups have much more power than others. In a country like New Zealand there are particular industries which governments are loathe to contradict, and who have actually got the financial resources to buy influence. What does buy influence mean? More often than not it means spending lots of money to generate the appearance of political support or political opposition depending which way you want to go. I’ll tell you another example of this, where money was spent in the 2000s. The then-Labour government wanted to take initiative on climate change and came up with the idea of a carbon tax. And over the following period of announcing this policy there was a huge public debate on it, in which 97% or some figure like that of the news coverage was strongly against the carbon tax. Years after that, a researcher came from the London and found almost all of that news coverage had been manufactured by hard-working PR people and lobbyists working for a coal industry. If people had known that all of this noise, and opposition and turbulence was being paid for by the coal industry it would have had no effect at all. It’s about the use of money and power, quite separate from what the opinion polls say or what people who vote on them say. So how do these tactics end up affecting the science industry, public health researchers but also the public? One level of the impact on scientists themselves is this uncomfortable place where they need to get private money, and private money comes with expectations about what they will and won’t say and do. People who have worked science jobs are aware of those issues very strongly in New Zealand. The other kind of effect on scientists is where they are actually genuinely targeted for being outspoken. And this is what people talk about as the chilling effect. Because if you are the most outspoken person on your issue, if you are Mike Joy on water for example, then people aren’t very surprised when you get told of by the Prime Minister, but the unseen side of that is that there are other people looking on thinking ‘I don’t want to be yelled at by the Prime Minister and I don’t want to have trouble in my university department and my contract is not secure enough to stick my head up’. What you actually want on issues is a large unrestrained, unscared contribution from people who have studied it all their lives and know what they’re talking about! And if those people are scared of talking – you’re not losing a few voices, you’re losing a huge part of how the system should work. So going back to that first level where there’s a need for money and the scientists obviously need the money and they take it but there’s all these strings attached, do you think there’s a way we can avoid letting that happen? I believe that it is such a serious issue that it goes hand in hand with much needed restructuring of the way science is organised in New Zealand. We used to have a unified science organisation called the DSIR, we now have institutes which have to compete for funding and contestable funding, some improvements over that recently but still a large amount of fighting for funding and the need to get private funding. If you want to have unbiased public interest science, don’t make the scientists have to essentially fight for their jobs every few years over a new piece of funding. Give them salaries. Let them be scientists, which we do in other areas of public life, so why should we make scientists regularly precarious and distracted by having to search for money. Every scientist knows this and every scientist would agree. Because doesn’t that mean as well that we’d be losing out on a whole lot of science – research that’s not being funded? The answer to that is proper funding of science, which I believe will pay off in spades basically. What you don’t want to do is have a whole lot of public money go into funding and then they compromise it by the component of having private funding or by having contestable systems, which aren’t designed for the scientists. What is the best way for scientists to support themselves, and put themselves out there in the face of personal attack? When academics or scientists get attacked it often feels very lonely. But there are very good things that can be done in this situation and the main one is that people talk about it and they stick together. It’s obviously dirty tactics, it’s obviously not right, and it can only be effective if it largely happens unseen. So the ideal solution is when there are other people from within the same profession, and the same institutions who understand the issues, have already been talking about it, have had talks like the kind of the conflicts of interest that arose from different situations, they’ve had talks about the organisers – they’ve read about and they understand the organised PR tactics that try to shut down public interest voices, and when that happens they name it, speak up themselves on it and stick together. And when that happens it’s actually very effective, because as I say nobody thinks this is right, nobody can actually justify it. What can the public do to not themselves be manipulated by these dirty tactics? So if the scientists are doing what they can, what can the public do to minimise their own manipulation? What you need on every issue is that there are people who actually understand it, who get it, who’ve read about it, who think about it. When the scientists or the academic is being attacked, they write letters about it, they write a letter to the paper, they get together and support them. It sounds small, but in my experience, it actually works. If a politician or a company thinks they can chill someone by attacking them, and there’s a wave of public reaction to that and people you know having things read out on the radio and all the rest of it, suddenly it doesn’t feel like such a good tactic. It’s when they happen invisibly and quietly and these people feel really isolated and vulnerable that these tactics are damaging. When there’s sunlight on it, you know, it’s just so much less effective. 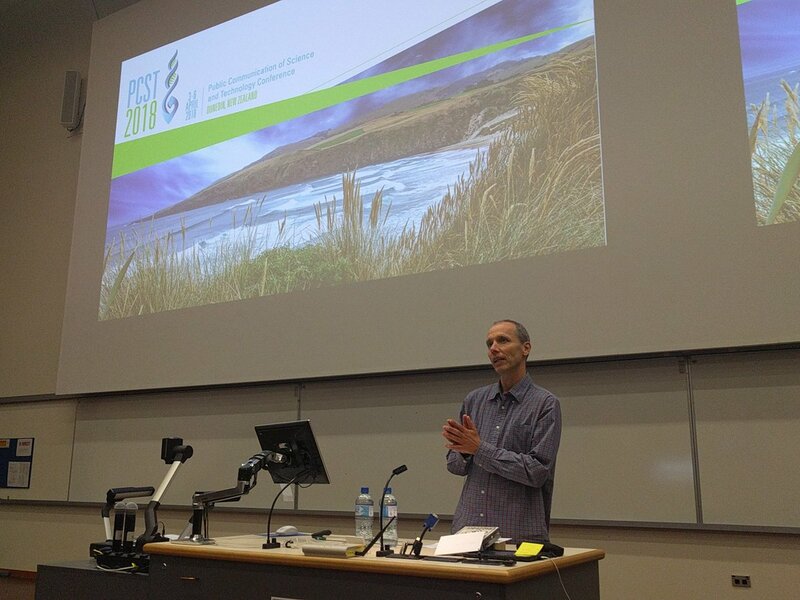 Nicky Hager speaking at the PCST conference in Dunedin. Supplied. Dominique Brossard – @brossardd/Twitter. Do you think that in some ways we need to make science more appealing so the public are more willing to defend it or actually take the time to look into research and things like that? Yeah probably, you don’t hear very many scientists talk about what they do which would be very useful and interesting because scientists are part of society like all the other bits we know about. So yes I think that’s right, the more people are hearing about, and hearing about the work of and the disagreements of and just the whole life of the way of how science impacts public debate and solving problems and things, the better it would be. We don’t have to wait for that though, there are plenty of people in New Zealand, who if you say to them, ‘do you think scientists should be silenced by lobby groups when they speak up for the environment or you know safer housing or something’ who’s going to disagree? What do you think the relationship is between science communication and investigative journalism? Because at the [PCST] conference you said you see yourself as being part of a related trade, so I was just wondering if you could expand a bit on that? Obviously with science like journalism there are all sorts of different paths of it. I’ve worked at a science organisation earlier in my career and I see the work of a lot of science is playing a role in society where knowledge and experiment and hypothesis and trying to find out the truth about something and trying to solve problems that aren’t immediately obvious and understand things maybe everyone’s been getting wrong as part of the progress of society. And actually investigative journalism is quite like that too, in fact I’ve found quite a lot of people in investigative journalism with science degrees because it suits their minds. What I mean is, the same thing in investigative journalism where often we are trying to understand the problem, find out about why things work the way they are, try and get to the bottom of what’s going on in a problem in ways people might not have realised yet and by doing that illuminate how it might be solved. How can we teach ourselves to be better at understanding, analysing and looking at the evidence and treating it a bit critically? I think an important point of how we are forced to understand society now is that there are more people than ever before whose job it is to not tell the truth, or to tell a version of the truth the people who are paying them want to have purveyed. There are more PR people, marketing people, specialist lawyers, advertising people, special consultants, special researchers than ever in the history of the world who are deployed by usually commercial interests but other kinds of vested interests to push their point of view. That means that we live in a world that is not tainted, it is actually awash with these kind of messages, to an extent that you have to focus on it to realise how great it is because it is so pervasive. A PR person doesn’t live in a world of facts, particularly, not a world of necessary facts. They see the world as a set of impressions and actions can enhance those impressions or diminish those impressions, and if you get the impressions right you win. You win the election, you win the public opinion polls, you win the decision in parliament, more people buy your product or whatever it is, so you don’t have to live in a world of fact because impressions are enough. When you want to have clean rivers, or to stop people dying in their homes from some preventable cause or whatever it is, then you need to live in the world of facts. It’s a different place and what I’m getting at I think that there are so many people whose job it is – who don’t have fact-based jobs, that there are a whole lot of us who have to actually have a sense of identity that we’re on the side of facts, we’re on the side of tested facts, and know the difference between a hypothesis which we are trying to sort out the proof or wrongness of, and fact. And they’ll be committed to that because otherwise we just become part of that great big soup. Isn’t it nice when you’re asked to comment on an article that mentions your name. Unfortunately, Sciblogs doesn’t seem to take this approach with Guest Authors such as Nicky Hager. 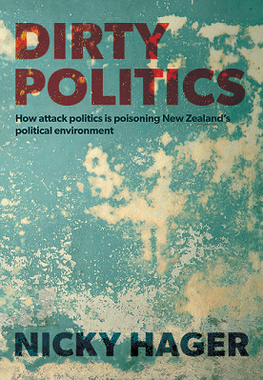 But then again, neither did Mr Hager when he wrote his 2014 Dirty Politics book. At no stage did Mr Hager contact, approach or give me the opportunity to comment or respond to the contents of alleged emails he claims to have received from a hacker. This is despite Mr Hager’s sworn testimony in the Wellington High Court in which he swore that he had provided an opportunity in relation to the emails before publishing his book. Mr Hager constantly rails against PR people and scaremongers in claiming I am one of the people ‘whose job it is to silence scientists’. That’s called framing, and Mr Hager is very skilled at that. The reality is vastly different. So much so that some may be confronted to hear that is the last thing I would want to happen. The more scientists who speak up the better. But the halo of academic commentary should be tested. If Mr Hager had bothered to contact me and have a discussion, he would have been surprised to learn that I actually have strong personally-held views about those who seek to restrict the choices of others. And yes, that does include public health issues relating to tobacco, alcohol and food. One result of Mr Hager’s book is that defamation proceedings have been launched against a number of parties by two well-known academics and one public health advocate. All are media-savvy with two very politically active. As a result of being drawn into these proceedings I am limited in what I can say. However, here’s something people may like to consider. Mr Hager will be drawn into those proceedings and will be asked, under oath, who he received the alleged emails from. The Plaintiffs will be asked about the millions of dollars they have received by way of publicly-funded research grants. These scientists will be asked about their comments calling the food industry ‘21st Century pedophiles’ or how Fonterra is ‘screwing babies’. They will also be asked about their own defamatory public comments about the defendants. Proceedings may follow. The Plaintiffs will also have to explain how their hyperbolic statements, for example characterizing supermarket owners as ‘drug dealers’ helps the debate over alcohol consumption in New Zealand. The Plaintiffs will be asked about damning Ministry of Health Reports that resulted in public funding being cut. It is highly likely that senior Ministry officials will be drawn into the case, which is likely to drag on for a decade. While Mr Hager clearly isn’t a fan of PR people, political strategists, or corporate lobbyists with the comment that they don’t ‘live in the real world of facts’ and that they ‘see the world as a set of impressions’ really is nothing but an exercise in framing. While we may disagree on the approaches or how we get along, like it or not we’re all in this ‘great big soup’ together. Nicky Hager isn’t the author of this piece. As it says in the opening paragraph, the author is “journalism student Zahra Shahtahmasebi”. It’s an interview of one person’s (Nicky’s) thoughts on a topic, not a survey or report on the issue. Peter Griffin (former head of the Science Media Centre) has written on what I presume is some of the backstory to this in earlier pieces on Sciblogs, e.g. Hi Grant, I think you’re missing the point. But thanks for highlighting a number of parties directly involved. If you think its messy now, just wait till the case really gets going in 2020. Graham – missing what point? I didn’t make any point about your topic. I alerted you to that you incorrectly attributed the article to Hager. I pointed out that the piece is an interview of one person’s thoughts, not a survey or reportage of the topic itself. I pointed to some posts on the backstory, in case anyone wanted to read them. I made no comment on the contents. Noting about the issue itself from me. I didn’t “highlight a number of parties directly involved”. I didn’t write anything about any parties. Peter Griffin may have in his pieces (I wouldn’t know, it’s a long time since I read them), but my comments don’t. I could have commented on some of the things you wrote, how they read to me but I didn’t. Maybe later.